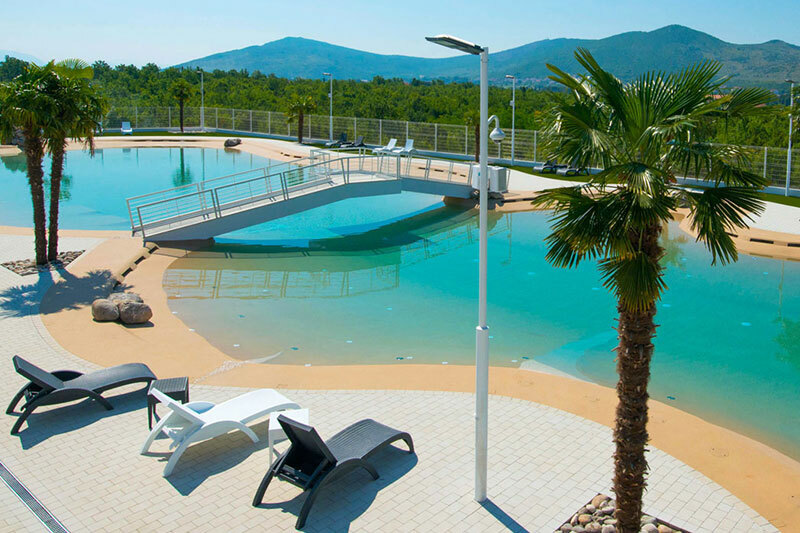 Just 3 km away from our hotel, in the industrial zone of Medjugorje, Herceg etno selo Resort, in June 2014 opened a new swiming pool on disposal to all visitors and it is made according to last bio-design technology with more than 1650 m2 of water surface. This is the first swimming pool in the whole region made according to this innovative technology. Beside the pool there are other facilities such as open bar, outdoor fitness, deck chairs and umbrellas.